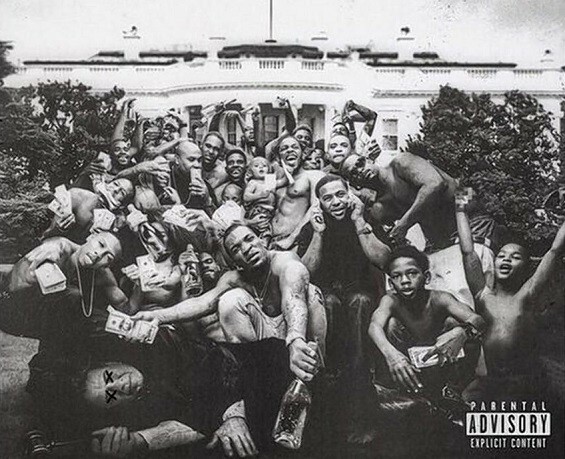 Kendrick Lamar’s opus To Pimp A Butterfly was released three years ago today. If he’s not already, Kendrick Lamar is well on his way to becoming one of the greats, and To Pimp A Butterfly is an integral part of his legacy. With his third album, Kendrick expressed himself once again as one of the most gifted writers of his generation, providing a truly emotive, honest and immersive concept album. It is bold, complex, ingeniously conceptual and meticulously crafted – a rare demonstration of hip-hop as an art form; complete with narrative arcs, a vast array of characters, overarching themes and spoken word pieces/poems that act as the album’s central nervous system. Over the years, Kendrick has brought a spark of invention and experimentation to rap, conceiving a formidable discography including four critically and commercially successful studio albums that are like exhibitions unto themselves. He has ascended from the tempestuous streets of Compton to the forefront of hip-hop, on which he currently reigns as King. His second studio album good kid, m.A.A.d city – an album that painted a harsh but truthful and sympathetic portrait of life in the gang-infested streets of Compton – cemented him as a compelling artist and, although raw, the record regarded as a modern classic and the launch pad for career. Following up such an impressive album seemed an impossible task. Three long years of anticipation passed before ushering in the return of the King. Then, on 15th March 2015, Kendrick’s follow-up album was finally upon us. It was titled To Pimp A Butterfly, and it was beyond anything we imagined, surpassing expectation, and transcending genre. To Pimp a Butterfly is an incredibly ambitious and innovative body of work. In fact, it is the highest rated hip-hop album of the 21st century (according to aggregator Metacritic) with an astounding score of 96/100. There has never been a rap album like like To Pimp A Butterfly. It is deeply personal and shockingly vulnerable, dealing with Kendrick’s trials and tribulations with stories from his own life. The level of work that must have gone in to the conception of this masterpiece is astounding. In the same vein as a Beatles, Led Zepplin or Radiohead album: it’s equally likely the LP will become a rite of passage for the atypical music fan, with an inevitable phase of intense immersion after first contact. The title To Pimp A Butterfly has a lot of depth to it. Firstly, it refers to Kendrick’s journey during the album and to two different spoken word pieces (or poems), one built upon in interludes describing Kendrick’s world, and one revealed at the end “Mortal Man,” a 12-minutue long posthumous conversation with the late, great Tupac Shakur. The tale of To Pimp A Butterfly describes Kendrick’s journey through artistry, fame, institutionalisation, mental health, racial tension, survivor’s guilt, depression, loyalty, wisdom and self revelation and the poems/spoken word pieces reflect this journey through the metaphor of the caterpillar and butterfly. Another potential title was “To Pimp a Caterpillar,” the initials of which spell out Tupac, who appears like a ghost at the album’s climax. The music is fleshed out into full-band exercises by a collective of esteemed instrumentalists including sax players Kamasi Washington and Terrance Martin, guitarist/bassist Thundercat and pianist Robert Glasper among other producers. They infuse the album with jazz, funk and stylistics that serve as throwbacks to music from past generations, utilised by artists of today and animated with new vibrancy. Most of To Pimp A Butterfly was recorded and mixed at Dr. Dre’s No Excuses Studio by Derek Ali, Kendrick’s right hand man when it comes to the creative process. Ali seemingly had an impossible job on his hands, stitching together the album’s rich tapestry in to a succinct piece of musical art. Kendrick Lamar is a master at expressing every facet of his artistry and perhaps most importantly, his humanity. Whether it be through his multifaceted subject matter and lyrical content, or his different voices and cadences. The way he aligns his innermost thoughts in to stunning rhymes is always something to be marvelled. He takes on different roles, speaking from the perspectives of different figures within the album including Satan, Uncle Sam, a slave, a homeless man on the street, the walls of a prison cell and even his own internal demons, acting out all the emotions that could occur within his tormented, brilliant soul. He really is one of the greatest artists in music, regardless of genre. Read our original review of To Pimp A Butterfly here.